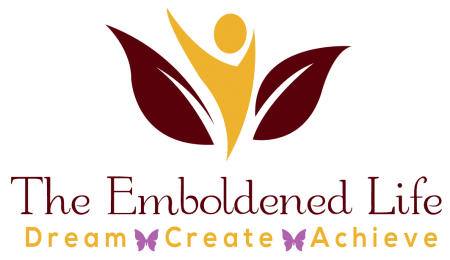 I am a life and business coach for midlife women and older who struggle with lack of clarity, focus, and self-confidence to go after what they want in life without feeling overwhelmed or regret. I provide 1:1 and group coaching, as well as courses with step-by-step blueprint and tools they need to confidently follow their dreams and passion. Success is never an accident. It typically starts with a dream of what we really want and where we want to be. It’s by knowing what matters most to us and working within our core values can we step into programming our beliefs transforming our vision into reality and achieve personal greatness. My philosophy is you already have what you need to achieve things you never thought possible. My part is to facilitate what is happening in your life so you can get real, tangible results in the end. My mission is to help midlife and older women like you, to gain clarity of your life purpose, re-assess your priorities and find a new direction for your future that will enable you to have stronger and more rewarding life personally and professionally. I will guide you to operate out of the core of who you are rather than responding to the world’s calling and living from the outside in. You are worried that you are going towards a midlife crisis and want to find a new direction. You yearn for a renewed state of aliveness in the third phase of your life and experience everything around you with new eyes. You feel that you are living a life based on everyone else’s expectations, and not your own. You know what you want to do but uncertain as to how to proceed. You find yourself wondering if this is all there is in your life. You feel that you are unable to produce what is needed in your business and worries about losing money with no returns. You compare yourself to others and conclude that you’ll never be as successful as them. You feel inadequate and judge yourself as lacking necessary qualifications. You’d like to assess who you are right now and move towards who you want to become. You’re ready to make profound changes in your life – to live your most self-fulfilled and happiest life – your emboldened life. Have you ever dreamed of running your own business that will give you the freedom of time and money, but you're not sure if you can be successful because you think you are "over the hill" after 40 or not a techie? It is easier than you think to start an online business with the skills and experiences that you've gathered all those years working for someone else. Now is the time to live your legacy not just leave your legacy. Let me show you strategies for creating a profitable business from idea to launch without breaking the bank, the fear of technology that stops you from starting and wasting time. "There are moments in our life that we wished we have done more, be the person we envisioned ourselves during our youth. It is not too late to be what we wanted to become. Find your life purpose and start anew." Does that quote resonate with you? Do you feel that there is more the world has to offer you? Do you want to finally find the true happiness that has been eluding you for so long? Age is just a number. It is never too late to redesigned your life and bring the real you forward!